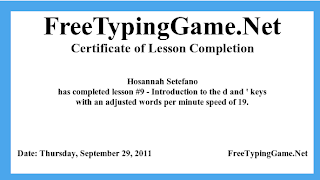 Have you been practicing typing tutor yet? Well I have completed LEVEL 9! Hooray! I am proud of myself. Let’s see if you can make to the last level.